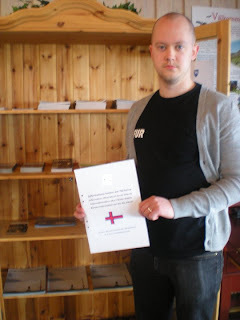 In this podcast, we speak with Erik Klint (the guy to the left) who set up an official information office about the Faroe Islands in Sweden. We also stay up late and go out dancing. If you'd like to see more photos of the information office and the view out the window (quite nice, actually) you can find them here.